Kathy Pickles has designed this gorgeous trio, 'Botanica', acollection of popular flowers brought to life through fabulous illustration. 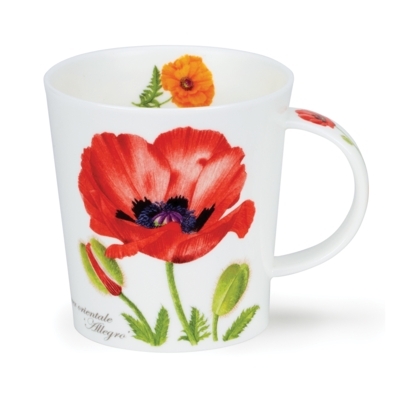 Associated with the changing of seasons and rememberance, the poppy is brought to life on this design. A Londoner by birth, Kathy now resides in the remote Orkney Islands off Scotland! Having studied history of art, Kathy�s love of flowers and gardens led her to develop her skills as a botanical artist, winning five gold medals for botanical painting from the Royal Horticultural Society (1991 - 96). Kathy has been painting floral designs for Dunoon for 20 years.